On July 6th, Asiana flight 214, a B-777, hit the sea wall on approach to San Francisco airport (SFO). Three passengers died. I recently received a well-written and insightful article describing what we in healthcare can learn from the cause-analysis findings coming forward from this unfortunate event. 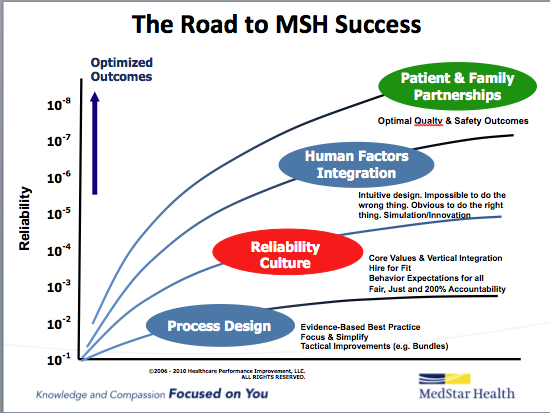 Richard Lockwood, AVP for Quality and Outcomes at MedStar Washington Hospital Center (MWHC) passed on the article, written by Steve Harden, as he found it useful given MWHC has been on a high reliability (HRO) seeking Journey the past two years. 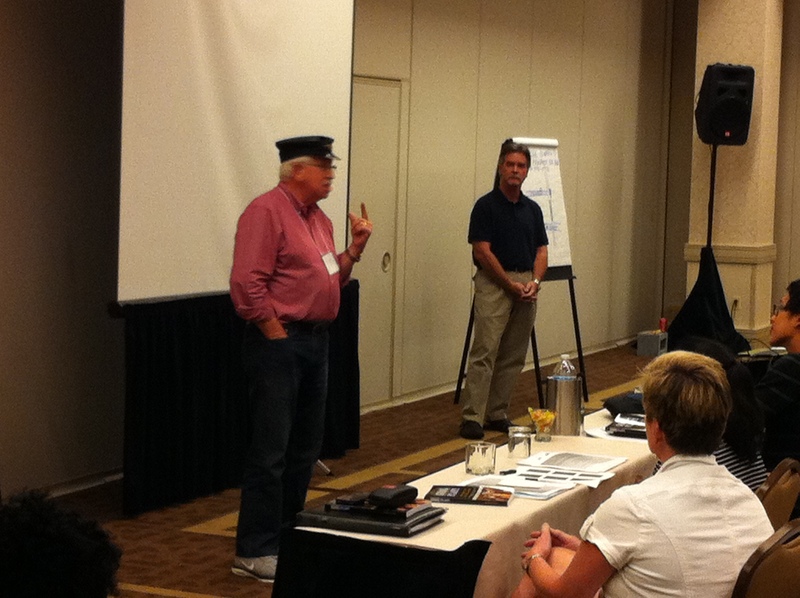 Richard’s experiences are guideposts as we embark upon the same journey for our entire health system. Having started his career in the commercial nuclear power industry, and having been a key contributor to the design and execution of the that industry’s HRO journey, Richard has proven an excellent resource to me and others when it comes to understanding some of the barriers healthcare organizations may face as they continue on their resilience journey. The effort to stop patient harm due to preventable medical error in healthcare can be assisted by examining some of the factors in the loss of life in aviation…Critical lessons for healthcare can be gleaned from…what is known about the training and culture that pervades the airlines in South Korea…Here are four lessons that healthcare can learn from the tragic accident. 1. Beware of over-reliance on technology: The pilot in command of the flight that day had over 10,000 hours of flight experience…However few of those hours were logged while in actual physical control of the airplane – what pilots call “hand-flying.”…Almost all of their flight time is accrued while the airplane is actually being “flown” by the computer. Over-reliance on technology causes several issues including degradation in basic flying skills, and a tendency for a “lack of engagement and mindfulness” in monitoring the computer and the computer generated flight path. The lesson for healthcare is clear…Electronic medical records, computerized physician order entry, and decision support tools will never replace “basic flying skills” in medicine. How many times have we heard our informatics teams share that same advice when we ask them why our EMR’s are not solving many of our safety problems? 2. Culture eats initiatives for lunch: …Culturally, it is bad form to mention something that might reflect badly on the senior person of the group…During the last two minutes of the accident flight, the descent path to the runway was..clearly wrong, yet none of the other three crew members in the cockpit said anything to the Captain. The lesson for healthcare? You may have a TeamSTEPPS program. 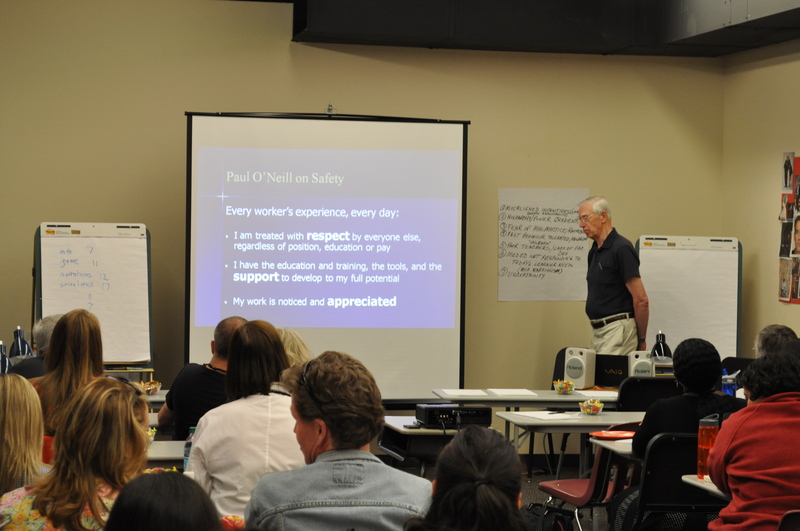 You may have a great Lean process improvement program. Neither will yield the sustainable results you want if you don’t work on your organizational culture. 3. Protecting the powerful is counter-productive: …You can overcome 3000 years of culture, but it takes a concentrated effort by leadership to over-communicate the expectations, to reward the new behaviors, to celebrate the results, to personally model the new behaviors, and to eliminate those unwilling or incapable of change. The lesson for healthcare? As Harden points out, allowing the mindset that “I know s/he is disruptive and hard to work with, but s/he is a big producer”, cannot be tolerated if an organization wants to achieve success in their HRO seeking journey. Disruptive and abusive behaviors are in direct conflict with high reliability seeking cultures which embrace respect and caring for fellow associates and team members. 4. Even one person who can speak up and be assertive can save a life: Despite all the cultural barriers that might have prevented it, one of the Asiana flight attendants used a TeamSTEPPS behavior when it mattered most. After the crash and when the airplane had come to a stop, the Captain announced that the passengers should not evacuate. One of the flight attendants saw flames outside the window and called the Captain on the intercom to let him know they needed to evacuate. This willingness to speak up undoubtedly saved a lot of lives. We know many of the answers, and what needs to be done to make healthcare safer–culture change, stop protecting the powerful especially when safety is at stake, and celebrate those remarkable caregivers who speak up even when they fear possible retaliation for voicing their safety concern. We hear these recommendations over and over. It’s not rocket science, but they are still challenging to put in place while many of the historical incentives remain misaligned. The concept of “mindfulness” dates back more than 2500 years. In Sanskrit, it means awareness that, according to the teaching of the Buddha, is considered to be of great importance in the path to enlightenment. It is said that when we are enlightened, “greed, hatred and delusion have been overcome, abandoned and are absent from our mind and we are focused on the present moment and the reality of things around us”. With the increased focus on High Reliability in healthcare over the past few years, we continue to hear more about the importance of mindfulness as a patient safety tool. I always thought of myself as being “mindful”. Anesthesiologists have to be “in the moment”, aware of the different cues happening around us in the operating room. However, through two simple examples recently, I learned a very important lesson from a longtime friend and mentor, Cliff Hughes MD, — that being mindful and aware of our surroundings is only half of the equation when applying mindfulness to safety. (Cliff)…has been chair or a member of numerous State and federal committees associated with quality, safety and research in clinical practice for health care services. Prof Hughes has held various positions in the Royal Australasian College of Surgeons–including Senior Examiner in Cardiothoracic Surgery and member of the College Council. He has been a member of four editorial boards and has published widely in books, journals and conference proceedings on cardiothoracic surgery, quality and safety. Prof Hughes has a particular passion for patient-driven care, better incident management, quality improvement programs and development of clinical leaders. As we were walking through a local grocery store, we came across a small puddle of water on the floor in the produce section. I walked around the puddle, pointing out the potential safety hazard to Cliff following behind me. I continued walking, and it took about twenty more steps before I realized Cliff was no longer behind me. Instead of walking around the puddle like I had, Cliff had detoured to find the produce manager and show him the puddle so the safety hazard could be cleaned up. While I was mindful of Cliff’s safety in pointing out the puddle, Cliff was mindful of all others who would be following our same path and could suffer harm by slipping on the wet floor. Cliff acted on his mindfulness, and by reporting the event, helped prevent possible harm to others. I was mindful but didn’t act. The very next day, Cliff and I were walking through a parking lot after a quick stop at a local Starbucks. I was in deep thought about our upcoming meeting. As we walked, we passed a parked car which I vaguely noticed had a back tire that was quite low…not completely flat, but would most likely soon be so with some extended driving. Momentarily noting the car, I kept walking, thinking about our upcoming meeting, Once again, Cliff disappeared and was no longer behind me. Instead, he was standing by the side of the car with the low tire, writing on a piece of paper. I walked back to where he was standing, and asked what he was doing. He said he was writing a note to the car’s owner, alerting the driver of the possible safety concern. Finishing the note, he placed it under the windshield wiper, clearly visible to the driver. Again, I noticed the potential safety hazard but was distracted by my own thoughts and priorities, and kept walking. I wasn’t fully “in the moment”, a prerequisite of mindfulness. Cliff, however, was fully in the moment. As such, he was able to not only notice potential safety risks, but also to report each incident and act to prevent possible harm to the driver and grocery shoppers. Two simple, but thoughtful, actions became perfect learning moments for me, role-modeled by a masterful safety “Sensui”. Mindfulness without action is stasis.